Disney's biennial D23 Expo is currently under way at the Anaheim Convention Center, with the big event running throughout the weekend. Once the exhibition hall was open to the public, fans noticed a number of new posters for Disney and Pixar animated movies, such as Cars 3, Toy Story 4 and The Incredibles 2. We also have photos from exhibition hall displays for Moana and Finding Dory. Many of these animated movies, along with The Good Dinosaur and Disney Animation's Zootopia, will be presented during Pixar and Walt Disney Animation Studios' panel today at 3 PM in Hall D23, hosted by John Lasseter, so stay tuned for more details about these upcoming projects. 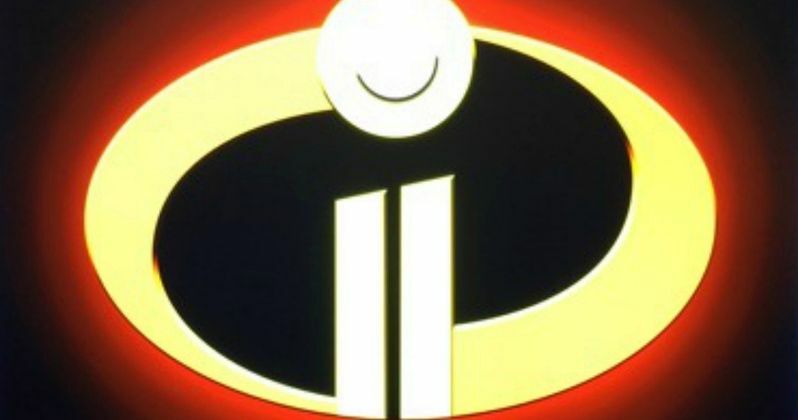 Both Cars 3 and Incredibles 2 were announced last year by Pixar, and while we don't know who is writing or directing Cars 3 yet, The Incredibles director Brad Bird is coming back to write and direct The Incredibles 2. It's possible that Disney and Pixar may announce voice cast roles for both sequels, and who may be writing and/or directing Cars 3 during today's presentation. Neither project has been given a release date at this time. John Lasseter already revealed earlier today that Toy Story 4 will follow the romance between Woody and Bo-Peep. Tom Hanks (Woody), Tim Allen (Buzz Lightyear) and Don Rickles (Mr. Potato Head) have already been confirmed to reprise their voice roles for Toy Story 4. It isn't known yet if Annie Potts will be back to voice Bo-Peep from Toy Story and Toy Story 2, or if the studio plans on re-casting the role. John Lasseter is directing from a script by Rashida Jones and Will McCormack (Celeste and Jesse Forever). Finding Dory, set for release in theaters June 17, 2016, features returning favorites Marlin, Nemo and the Tank Gang, among others. Set in part along the California coastline, the story also welcomes a host of new characters, including a few who will prove to be a very important part of Dory's life. Finding Nemo director Andrew Stanton is back to direct, with a voice cast that includes Ellen DeGeneres (Dory), Albert Brooks (Marlin), Diane Keaton (Jenny), Eugene Levy (Charlie), Willem Dafoe (Gill), Ty Burrell (Bailey) and Dominic West and Idris Elba in unspecified voice roles. Moana, which debuts November 23, 2016, is set in the ancient South Pacific world of Oceania. There, Moana, a born navigator, sets sail in search of a fabled island. During her incredible journey, she teams up with her hero, the legendary demi-god Maui, to traverse the open ocean on an action-packed voyage, encountering enormous sea creatures, breathtaking underworlds and ancient folklore. Dwayne Johnson is the only voice actor currently attached, set to portray Maui. Zootopia, arriving March 4, 2016, introduces audiences to a modern mammal metropolis. Zootopia is a city like no other. Comprised of habitat neighborhoods like ritzy Sahara Square and frigid Tundratown, it's a melting pot where animals from every environment live together-a place where no matter what you are, from the biggest elephant to the smallest shrew, you can be anything. But when optimistic Officer Judy Hopps (voice of Ginnifer Goodwin) arrives, she discovers that being the first bunny on a police force of big, tough animals isn't so easy. Determined to prove herself, she jumps at the opportunity to crack a case, even if it means partnering with a fast-talking, scam-artist fox, Nick Wilde (voice of Jason Bateman), to solve the mystery. Check out these posters below, and stay tuned for more on all of these projects as D23 kicks off.